Home » Anime » What Anime Should We Watch? Top 10 Anime Spring 2018! Anime Spring 2018 is quite an interesting season with extremely fascinating lineup like Steins;Gate 0, High School DxD Hero, Megalo Box, and more… But with such little time, which anime should we begin? For that reason, let’s not waste any more time and check out the Top 10 Anime Spring 2018! *Disclaimer: This list is subjective only and the anime series here are randomly put. So far, the series is going extremely good. Its art style is great, its sound and music is emotional, but the most important aspects are the story and characters. 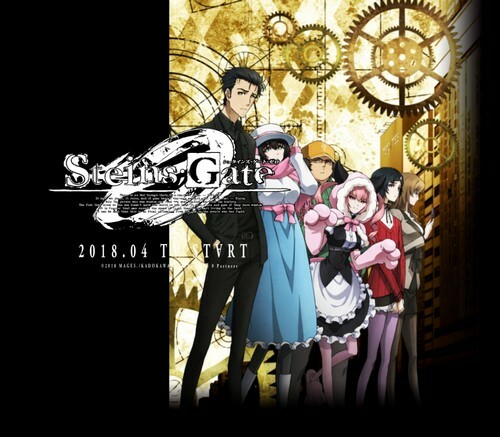 Steins;Gate 0 is filled with more mysteries, more tragedies, and its pacing is really good so far. The characters once again are the shining point, especially Rintarou whose emotions are expressed wholeheartedly. New characters also appeared and made sense. Overall, it is no doubt among the top anime choice of this season. Boku no Hero Academia (or My Hero Academia) is on roll recently with 3 consecutive seasons. The current 3rd season picks up what’s left back in season 2 as Izuku and his friends just finished the final exams and preparing for the summer training camp. Once again we get to see the heroes cast of Class B and the ominous villains, especially Tomura Shigaraki who was All For One’s himself. 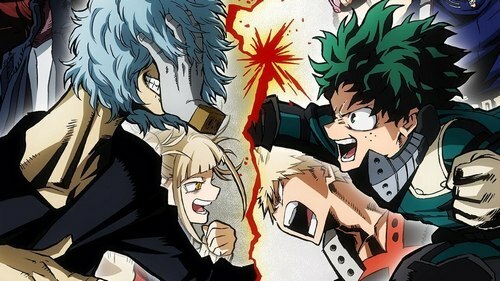 The series has already built a high rivalry tension between Tomura and Izuku, yet there has been no sign of their future battle. But that aside, the character development is still smooth so far. Each character keeps showing the unique growth and personalities. That said, some viewers have been expressing that the show feels like going in Fairy Tail direction with heroes suddenly got buffed up just because of “hope” and “believe”. Not gonna lie, we does feel a bit of Fairy Tail-ish sense; however, let’s not jumping to the conclusion early and see what’s in it for us in the future! Coming in number 3 we have our good ol’ food por… we mean Food Wars season 3. The show is currently pushing the tension between Soma and his friends of Polar Star Dorm and the Azami Administration. The season finally kicked off the true battle with Soma and friends have to pass all the exams if they wish to continue their study in Tootsuki. But of course, Azami and his administration will not let them pass that easily. In overall, Food Wars Shokugeki no Soma season 3 still keeps up with its cuisine quality. Again we get to see tons of awesome dishes (and sometimes we’re still wondering whether they are real or not). The characters are well portrayed and developed, especially Erina. That said, the show got quite lots of controversial reviews so far. Aside from many praises, many fans have expressed that the series is getting boring due to its predictable trope. 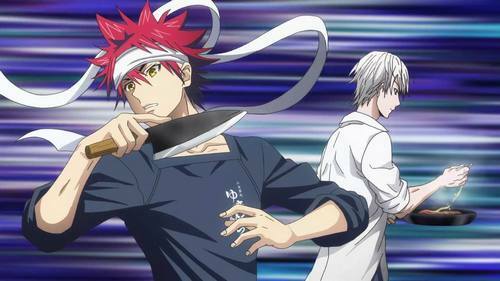 And true, it is quite hard to create unexpected twists and turns for such a show like Shokugeki no Soma. Also not to mention, the anime series tend to have pacing problem since they have to compile many details from the original manga to a limited number of episodes. Nonetheless, it is still an enjoyable series, especially for fans of cooking. At first, Megalo Box did not receive much attraction. And true, it is not easy to deliver good sports-themed anime and manga. However, the series is surprisingly compelling with great characters and development. In short, the story is about an underground boxing fighter called Junk Dog who fights with mechanical limbs called as Gear. One day, he was defeated by a Megalo Box champion named Yuuri and got challenged. Feeling excited, Junk Dog decided to join the worldwide tournament under the name of “Joe” and climbing his way up to the top. Megalo Box is indeed surprising for many viewers, including us. The series has a realistic art style of near future where we can see advancements in technology, yet poor and rusty in certain places. It also has the 2000s vibe, but the animation is definitely in another level. The story is arguably predictable, but well executed. The characters are not something extraordinary, yet the character development is really good that it makes us feel sympathized with their goals and emotions. If you really look for an innovating sports anime, Megalo Box will not fulfill that wish of yours. 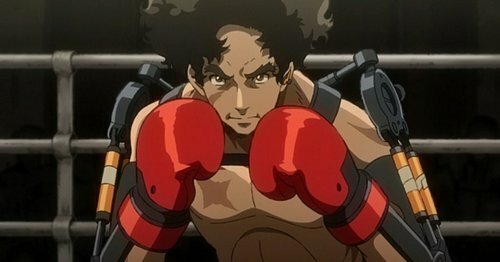 However, if what you’re looking for is an entertaining sports anime then Megalo Box is indeed “the choice” for this season. Let’s not be mistaken with the real Japanese festival Hinamatsuri. This Hinamatsuri is a new anime adaptation of the original comedy manga of the same name. It tells the story of a prominent Yakuza member named Nitta who only wants to have a luxury life. One day, Nitta found out that there was a strange object lying in his house. Turned out it was a capsule of a young girl named Hina who has extremely powerful supernatural power. Having no choice but to adopt her, Nitta took her in while knowingly she will cause tons of trouble in his life. Hinamatsuri followed the original manga for the most part, including jokes. Do those jokes land? Yes… and no! Thing is: jokes in Hinamatsuri are not something new. They are pretty standard sitcom-type of jokes, yet this series managed to mature the formula for its own unique world. 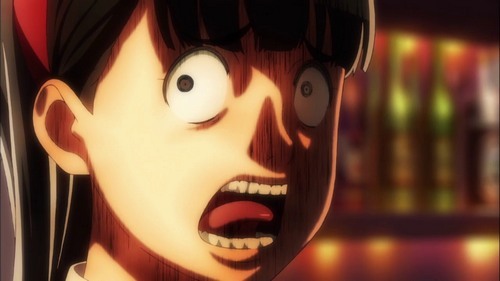 Jokes in Hinamatsuri depend greatly on the weirdness (like yakuza and alien… wut?) and the interaction between characters, typically Hina and Nitta. And the facial expression, yeah that is gold. Whatever the case, jokes, especially in case of Hinamatsuri, are subjective. If you find the story of Hinamatsuri to be stupid (literally) then probably you won’t enjoy it. It is fine to claim yourself as Otaku in US; however, in Japan that would be a huge problem since Otakus in Japan tend to relate to “Hikikomori” (basically people who isolated themselves and refuse to go out and work). It is a harsh reality; yet, Wotaku ni Koi wa Muzukashii successfully created a brighter scenario. 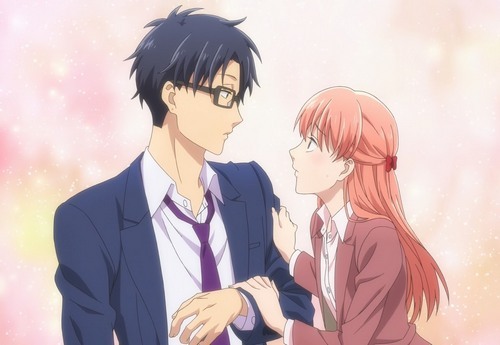 It tells a story of 2 grown adults Hirotaka Nifuji and Narumi Momose fall in love with each other. And interesting thing is Hirotaka is an otaku while Narumi is a fujoshi (female otaku). The two were childhood friends and currently they work at the same place. After a drinking party with their coworkers the two began dating, but will their love come true? Frankly speaking, Wotaku ni Koi wa Muzukashii is not something extraordinary. Or to be more precise, the series does not try to be extraordinary. The story is simple: 2 adult otakus fall in love with each other. Viewers get to see how they manage in their daily life, how they help each other, and most importantly, how they share their passion and love with each other. It is kind of a light comedy anime, yet an extremely enjoyable one. The series does a good job in lighten up our day and therefore, it is worth to wait for every week. The legendary High School DxD has finally returned with its latest sequel High School DxD Hero. We get to see Issei Hyoudou again with his glorious cast of harem including Rias Gremory, Akeno Himejima, Koneko Toujou, Xenovia Quarta, Asia Argento, Irina Shidou, Rossweisse, Yuuto Kiba, and Ravel Phenex. The story follows the 9th volume – Pandemonium at the School Trip of its original light novel. First and foremost, yes the harem we all know and love from previous seasons is back and the girls are as awesome as ever. Character development is definitely on point here. Every girl has unique characteristics and all of them have their roles in the story. 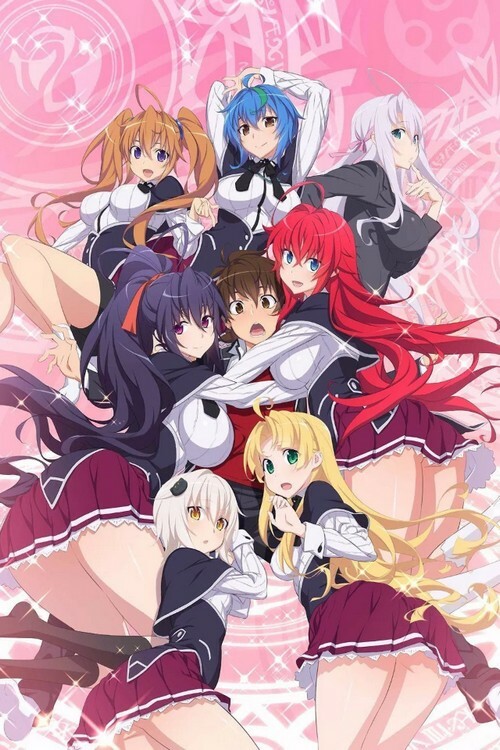 The “harem king” of High School DxD world – Issei gets a huge change from an extremely perverted high school boy to a powerful, respected man who truly cares about his friends and deepens his relationships with them. New characters are also introduced and well explained. The story progresses smoothly so far and let’s hopes that it will get better and better in the near future. Back in 2008, Persona 4 was released and it truly brought the Persona series to whole new popular level. Then in 2012, the enhanced Persona 4 Golden was released and gained positive reviews from both critics and players alike. Before such huge success, Persona 4 got tons of spin-off games and even anime named Persona 4 the Animation. This success repeated once again with Persona 5 game released back in 2017 worldwide and once again, fans can expect many, many new stuffs based on Persona 5 including Persona 5 the Animation. 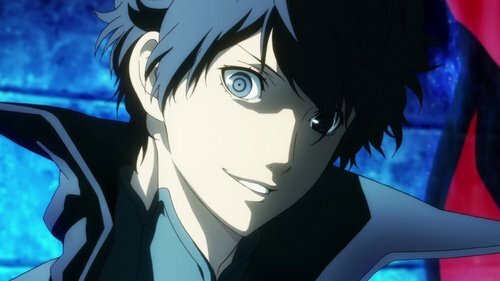 If you have already played Persona 5 the Animation, you already know most of the anime’s story. And in such case, you probably will not enjoy the anime as much as you may want to. Otherwise, you can enjoy this anime quite a great deal in case you haven’t played the game. Despite a number of bad reviews about this series, to some extent it’s safe to say that the anime actually respects the source material. The only greatest downside is the battle (it’s… meh), yet other than that, the anime can be as much enjoyable as it could be. Overall, it is a great show for people who have never had a chance (interested in) to play Persona 5. Many of us probably are so used to catgirl, but what about… horse girl? That’s right! Horse girl! And that is the main theme of Uma Musume Pretty Derby. 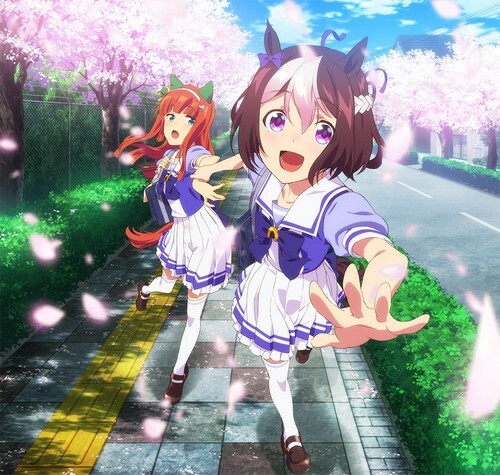 In short, Uma Musume takes place in a world where there are… horse girls who have ear, tail, and physical prowess just like horse. The story focuses on a high school horse girl and her friends trying their best to become the Best Horse Girl of Japan. At first glance, the story sounds like our everyday idol/fan service isn’t it? Yet surprisingly, throughout the first 4 episodes, there is no such… fan service. On the contrary, the show focuses a lot on the main protagonist and other characters. There is a good character development here as we can see how they live their life, how they struggle and their emotion of what’s meant to be winning and losing. The comedy is another shining point here. The comedy in Uma Musume not something showed purposely like Hinamatsuri or Mahou Shoujo Ore. It is rather subtle if we can relate it to the context of the show. The comedy element here may not make you laugh out loud, but it will make you feel somewhat warming inside as you can see the cuteness within these characters. Whether this anime should be on your watchlist? That depends on your preference. But hey, horse girl anime is not something you can see every day right? Finally on the list we have Golden Kamuy, an anime adaptation of the highly recommended manga of the same name. Unlike many fantasy-themed anime we have seen so far, Golden Kamuy brings us back to real history of Japan of the Meiji era. Our main protagonist – Sugimoto is an exceptional soldier who survives any battle he joined. He was so fearsome that people called him “Sugimoto the Immortal“. After the Russo-Japanese war, Sugimoto travelled to Hokkado with hope to find the gold riches to help his deceased friend’s wife. Here, he met an Ainu girl named Asirpa and together, they go on a survival adventure to race against the enemies who are also having the same goal like Sugimoto. So far the anime has done the original manga a great justice. It delivers full storytelling from the manga, allowing viewers to understand the world, characters, and occurred events prior and throughout the current plot. And that’s a big plus! 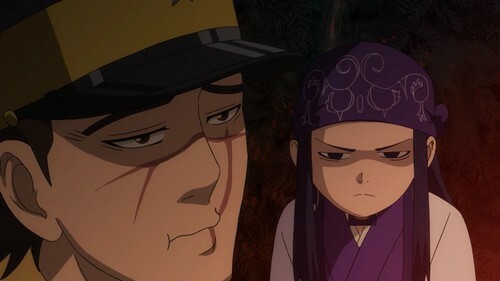 Golden Kamuy relies on realistic element and characters. Sugimoto feels relatable and badass. Asirpa makes total sense since she is an Ainu descendent who lived and adapted in the harsh climate of Hokkaido. Other characters are also nicely portrayed and developed like Tsurumi – the creepy leader dude of the 7th Division, or Hijikata – the former vice-commander of the Shinsengumi and he truly gives out even a more badass vibe than our main protagonist Sugimoto. Interesting enough, we can also get to learn about the Ainu’s culture. It may not be a perfect learning material, but still interesting nonetheless. If you’re interested in realistic-themed anime, we really recommend checking out this anime and even its original manga if possible. And that’s it folks! That’s our top 10 anime Spring 2018! And what about your list? Feel free to share with us and for now thank you and stay tune for more news in the future! Pingback: Summer is here! Top 10 Most Anticipated Anime Summer 2018!